We are sitting in the pouring rain right now and it got me thinking about … soup. That makes sense, right? I mean nothing beats a hot and yummy meal on a damp and icky day! I love when the kids come home from school and my house smells like Fall and homemade bliss. All I need is a fresh loaf of bread and a large bowl. Oh and this Loaded Baked Potato Soup Recipe. Doesn’t potato soup sound great right about now? The thickness on my spoon as I slurp away feels so great as it works its way down my throat – especially after coming in from a particularly cold day. 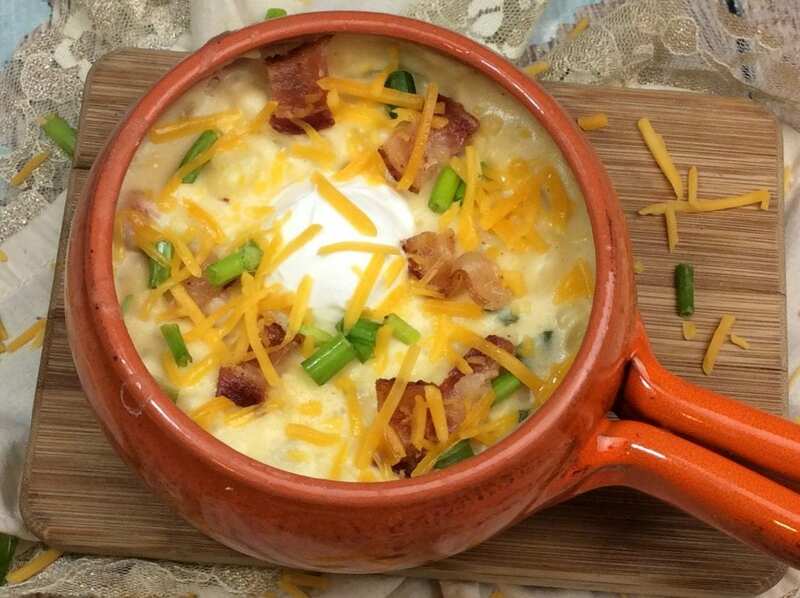 The Loaded Baked Potato Soup recipe is easy enough. You just need the right ingredients – most of them I bet you already have. Staples! Fresh ingredients are a must. Cook your bacon to a crisp and crumble set to the side. Leave the pan on the stove on medium. Add the butter to the pan with the bacon grease. Add the onion, garlic, and potatoes. Cook for 7 minutes. Take all of the items in the pan and place it in a large pot over medium heat. Add the flour, salt and pepper, and stir. Now, add the chicken broth, milk and cream and bring to a boil. Turn the heat down and simmer until the potatoes are fully cooked. Cook for about 25 minutes. 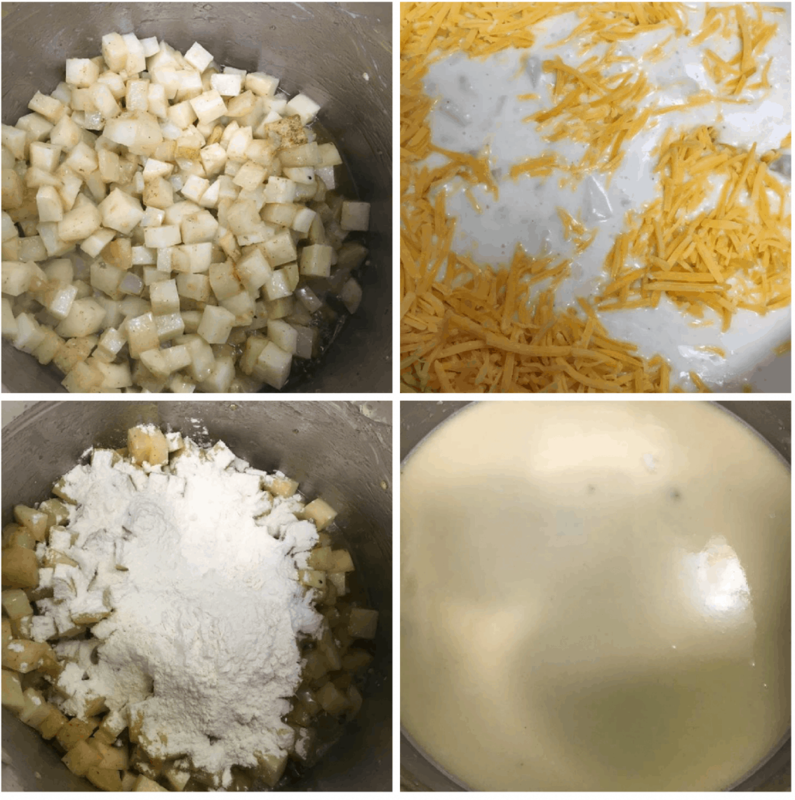 Add the cheese, sour cream, bacon crumbles and the green onions and stir to combine. Cook on low for another 10 minutes to combine flavors. Garnish with cheese, bacon and green onions. Enjoy!! What do you think? 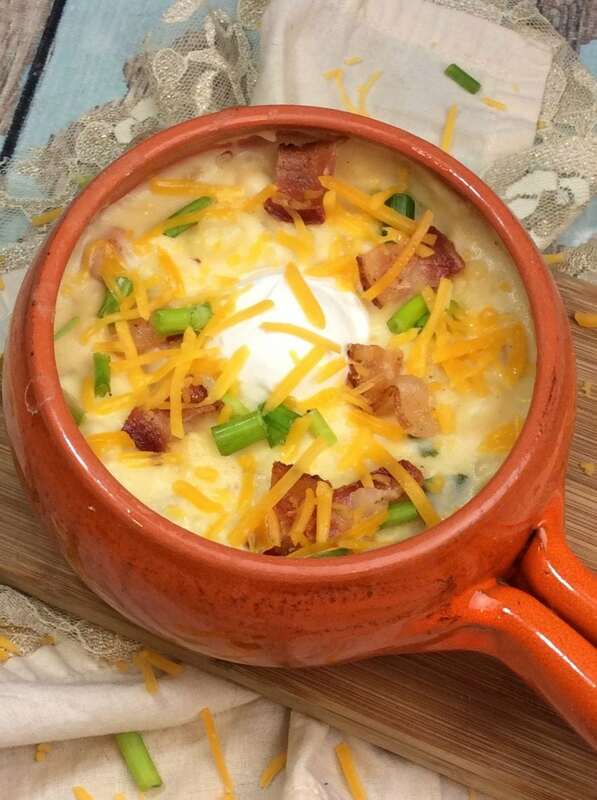 Are you going to try this Loaded Baked Potato Soup recipe? Something that you’d like to try. Cook your bacon to a crisp and crumble set to the side. Leave the pan on the stove on medium. Add the butter to the pan with the bacon grease. Add the onion, garlic, and potatoes. Cook for 7 minutes. Take all of the items in the pan and place it in a large pot over medium heat. Add the flour, salt and pepper and stir. Now add the chicken broth, milk and cream and bring to a boil. Turn the heat down and simmer until the potatoes are fully cooked. Cook for about 25 minutes. Now add the cheese, sour cream, bacon crumbles and the green onions and stir to combine. Cook on low for another 10 minutes to combine flavors.